Due to the unexpected and drastic elimination of the fort’s funding by the Town of Porter for 2018, we will be forced to cut staff that delivers public programs and special events this summer. The loss of $20,000 in grant support from the town places our full schedule of living history programming at risk. This is why we are looking for 200 people to become a Friend of the Fort by making $100 emergency gifts to our program fund this spring to help save this summer’s programs. When you become a Friend of the Fort, your name will appear on event programs for our largest events this summer. We will also acknowledge your support on our website and give you four individual admission passes to use or to share, a value of $48 alone. You can use the passes at one of this season’s major events, or take in our new daily program, “Flintlocks and Council Fires,” which will run during July and August. 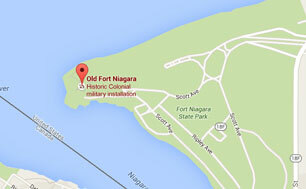 You make Old Fort Niagara better through your stewardship. Please click here for information about this year's Annual Fund. Scroll down a little further to make a donation.